Here is some darling vintage lace. 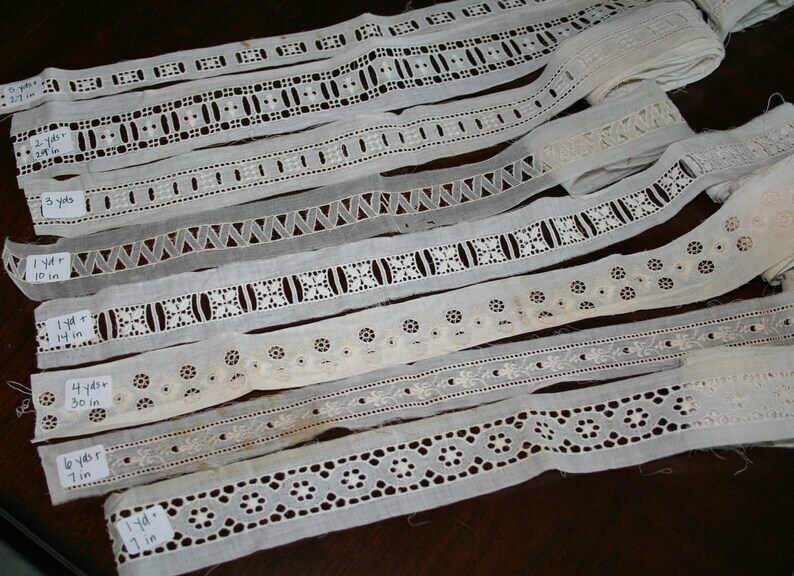 This lot includes 8 pieces of lovely insertion lace totaling more than 26 yards! Each piece is different. Many of these are eyelet and have holes you can weave ribbon through - also called beading lace. The colors are several shades of white. Widths vary from 1 inch to 2 1/2 inches. The shortest piece is 1 yard, 7 inches and the longest is 6 yards, 7 inches. Please see photos for exact length of each piece. These laces once belonged to a woman who sewed historical doll clothing. These are in excellent as found condition given their age, but are slightly musty and dingy from long term storage. A few have spots. They will need a soak to brighten and freshen. You'll be able to sew something precious with these laces! Thanks for shopping Pixie Dust Linens! Very nice item. Fast delivery. 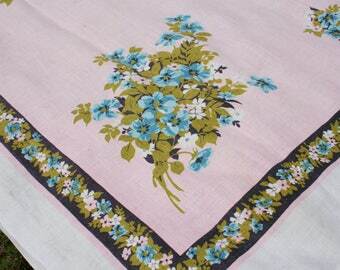 The items I sell are vintage, and any personalization or monogramming on items was done by the original maker. I do not offer custom personalization or monogramming.